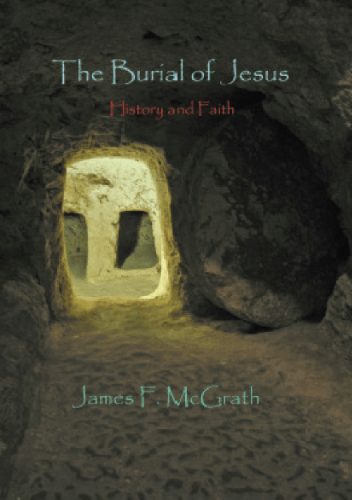 Some time ago I received a review copy of James F. McGrath’s book The Burial of Jesus. Professor McGrath is associate professor of religion at Butler University, specialising in history and biblical studies. The book sets out to look at the burial and resurrection of Jesus using the standard toolkit of the modern historian. It begins by exploring the relationship between objective historical study and faith. These are often seen to be in tension with one another, because one relies on evidence and the other is often invoked without or even in spite of evidence. However, this is a misunderstanding of the role of faith, which is more to do with trusting the object of faith (i.e. God) rather than merely accepting a set of propositions with little more proof than wishful thinking. The second chapter looks at how historians go about their business and some of the criteria they have for judging their sources. In keeping with the object of the book it focuses on the four canonical gospels. There is a good overview of the ‘synoptic problem’ (which refers to the relationships between the gospels of Matthew, Mark and Luke) and the reasons why most scholars today subscribe to the two source theory. The chapter finishes with a discussion of how historians judge the reliability of the contents of the gospels. The crucifixion and burial of Jesus are all accessible through the normal historical means. It seems reasonable to conclude that Jesus was crucified, his body was disposed of quickly, but disappeared soon after. However, the question of what what happened to the body of Jesus is far more complicated for the historian. The final chapter is somewhat more theological, asking what sort (if any) of resurrection is required by the church today. More broadly, he looks at some of the consequences of our view (stated and unstated) of eschatology. He also revisits his earlier material on the nature of faith, and how it has more to do with trust in a person than certainty about a doctrine. I found this book quite invigorating. I’m not sure I agree with some of the conclusions. I’m also a bit concerned McGrath might have made assumptions in places that weren’t warranted, or at least need to be challenged. Overall, though, I would recommend this book to anyone who is serious about studying Christianity rationally. It would make a good primer for first year theology students who are trying to ‘unlearn’ a lot of the more dogmatic approaches to Christianity they may have picked up elsewhere. Thanks for the review. The book looks interesting, particularly on the historical method approach. Picking up on the point about differences between the biblical accounts of the Easter story, I would recommend, ‘The Historical Reliability of the Gospels’ by Craig Blomberg, and, ‘Easter Enigma/Are the Resurrection Accounts in Conflict’ by John Wenham, to provide a balance and perhaps challenge to McGrath’s position. Thanks for your comment, Bernard. I’ll be sure to look those books up next time I’m at my Uni’s library.